Nigerian musician Olubankole Wellington and Adesua Etomi are celebrating one year of getting married and staying together. The couple celebrated their traditional marriage anniversary a few days back. 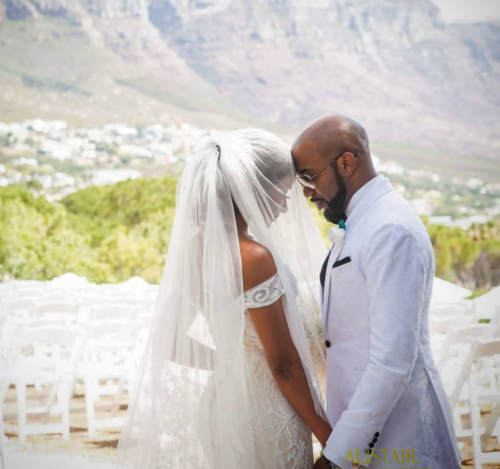 Banky W took to Instagram to share the experience of marital bliss with his wife saying the past one year have been the best 365 days ever. The past 365 days have been.. BY FAR.. the best year of my life. I’m so thankful that I found you. You were worth the wait. You are worth the effort. You are everything I hoped for, and much more than I deserve. Thank you for loving me and inspiring me. Thank you for being with me, and building with me.